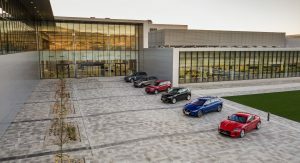 Jaguar-Land Rover has officially opened its new, state-of-the-art manufacturing plant in Nitra, Slovakia, which is expected to produce 100,000 cars annually by 2020. 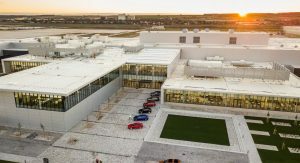 The company’s new factory incorporates cutting-edge technologies, being the first one in Europe to use Kuka’s Pulse carrier system that offers 30 percent faster transfer times than the conventional conveyance systems. A highly automated paint shop will be added later. 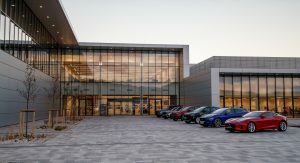 JLR’s Nitra factory is currently employing around 1,500 people but it will recruit an additional 850 this November. All employees have taken part in JLR’s bespoke 12 week-long training program. 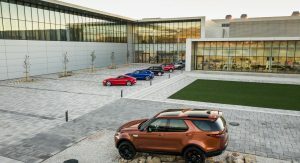 The facility, which represents a $1.6 billion investment, will initially produce Land Rover Discovery models. 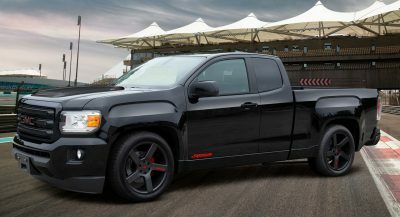 The automaker is considering adding a second model due to uncertainty over a potential ‘no-deal’ Brexit but so far no decision has been taken, according to the facility’s boss Alexander Wortberg. “It is very essential for JLR globally that the solution reached between the EU and UK does not result in a hard Brexit,” he told Reuters. “We’re starting with one model and one shift. We will start hiring for the second shift in November, that will be operational in the second half of next year. Annual capacity of 100,000 cars will be reached in 2020”, he added.